Bob White was also elected president of the Canadian Labour Congress in June 1992 and re- elected in 1994. 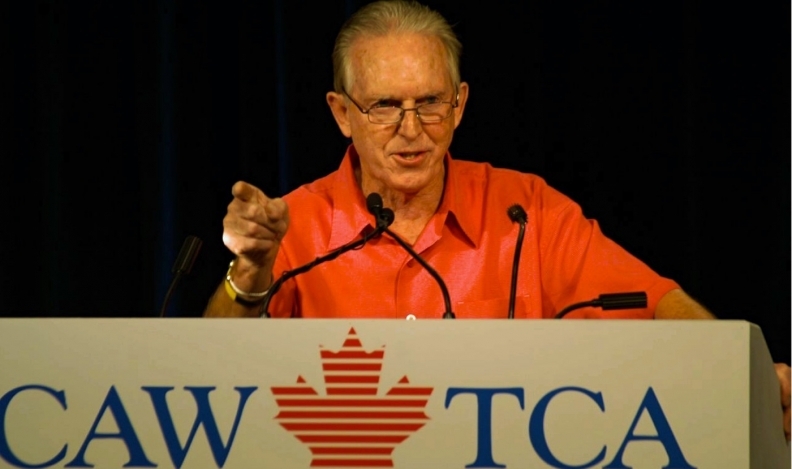 Bob White, one of the founders of the Canadian Auto Workers union, has died at the age of 81. The union Unifor -- which is an amalgam of the CAW and the Communications, Energy and Paperworkers Union of Canada -- announced White’s death on its website today. White became the first president of the CAW after he and assistants Buzz Hargrove and Bob Nickerson successfully managed to break away from the U.S.-based United Auto Workers in 1985. The CAW eventually merged with the CEP in 2013 to form Unifor, the country’s largest private-sector union. “The CAW was born as a result of his determination and leadership. It is thanks to Bob that we have grown into the strong national union that we are today," Dias said in a statement on Unifor's website. "Bob White's legacy is a stronger and more equitable Canada, and a labour movement that stands up for Canadian workers."